Hello winter equals hello to dry skin. For me at least. As soon as the heating at home goes up, and the leaves are starting to fall down the trees, my skin reacts as if it knows it needs some extra attention. There are sooo many products and brands out there that promise you a soft skin but I’m not a big fan of all the chemicals that are added. Gladly I discovered this briljant store called DIY Soap, a shop in Amsterdam where you can create your own scrubs and creams made out of natural and organic ingredients. 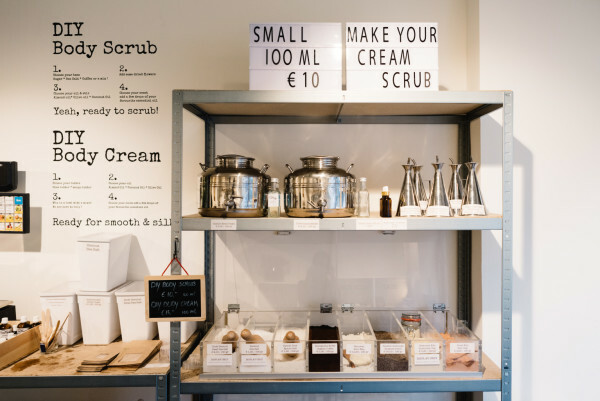 At DIY Soap you can shop in two ways; you can buy a ready-made scrub or cream, or create your own from scratch. The last option is more fun so that’s exactly what I did! 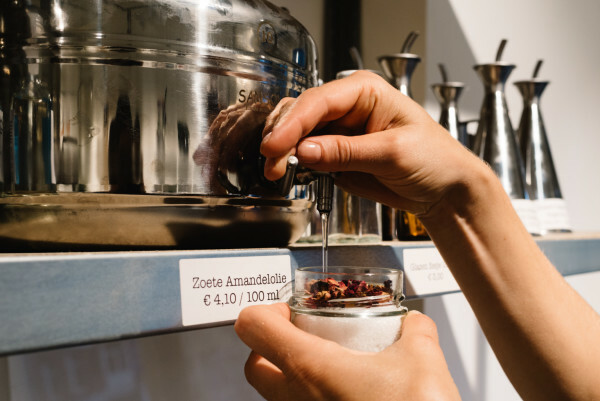 In the store you can find a rack where you can find cans of oils to create your product with (coconut, almond, olive). 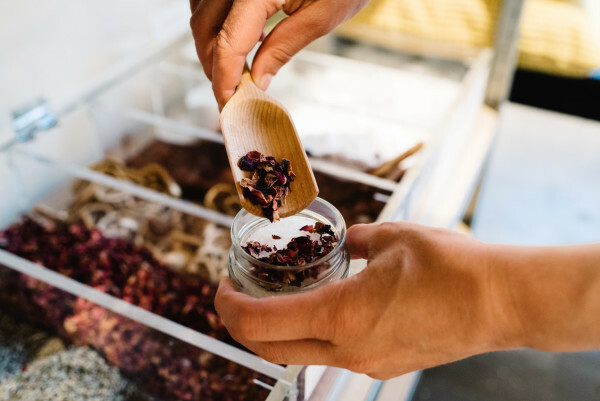 Next to that you have a table where you can find salts, sugars, coffee and concentrated oils such as lavender, orange or roses. Pimp your product with some flowers, dried fruits or lavender pieces. Every product is vegan except the honey. (but rest assured it comes from a local and organic beekeeper). One of the great things about creating your own product, is that you can bring your own packing materials. DIY Soap highly encourages to re-use your old shampoo bottles or cream containers. The packaging at DIY Soap is made out of glass and is always re-usable. This way, you only need to come back for the ingredients! You can also buy sustainable products like re-usable make-up removal pads. 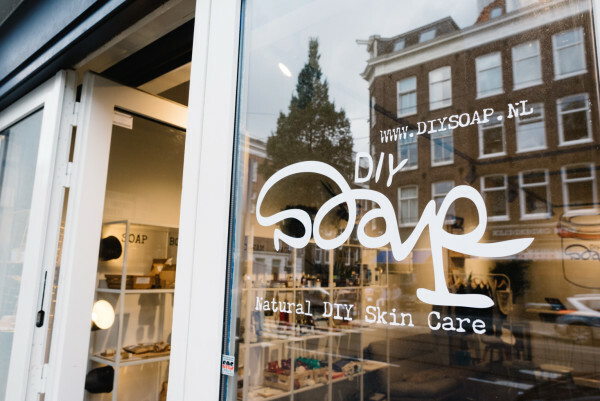 If you don’t live in Amsterdam, you can shop the products online (www.diysoap.nl) and in several stores across The Netherlands and Belgium (concept store Hutspot being one of those). besides the ingredients and packaging, they also have a great behind-the-scenes-story. The people who make the ready-to-buy products are created by people with a minor mental disability, at the Gemiva centre in the city of Leiden. 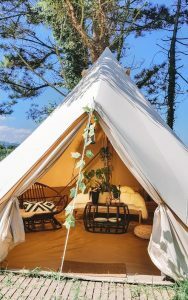 How beautiful is that! Hi! 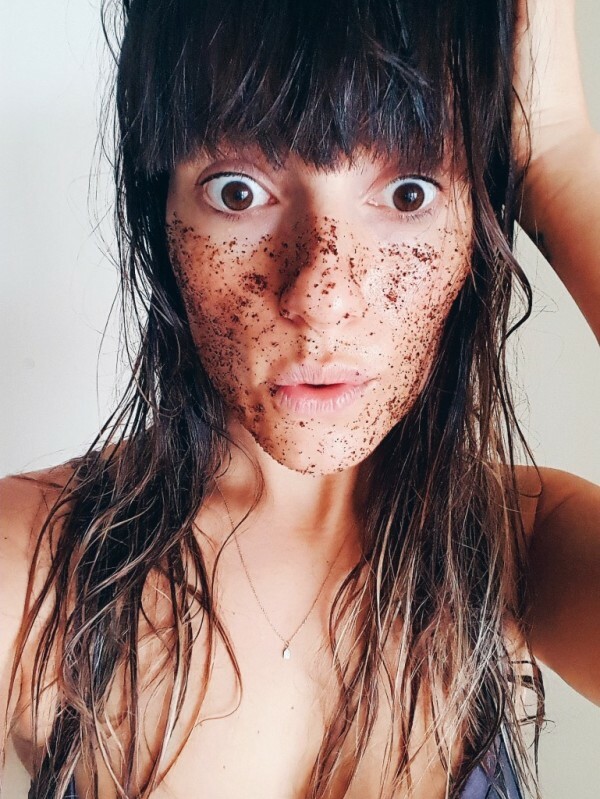 I usually buy a coffee scrub from Lush but would LOVE to try a new product!! I’m really interested in selfie made and local products, so I would love to try this one. That would be so cool and very delicious I think! Hi Nadine, jij bent de gelukkige winnares! Wij zullen jou even mailen om je contact informatie op te vragen. Geniet van je scrub!